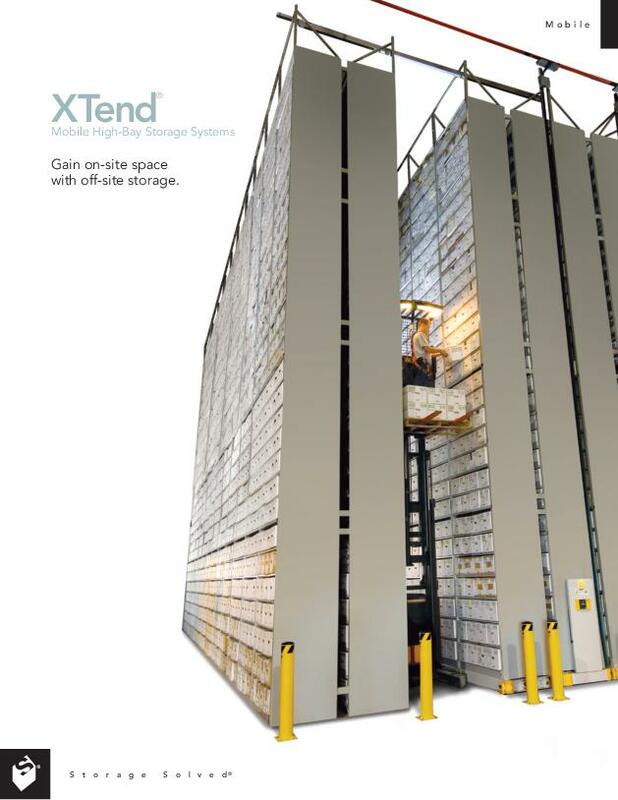 When square footage is at a premium, XTend Mobile High-Bay allows you to fully maximize your floor space and double the storage capacity as compared to that of conventional high-bay archival shelving. 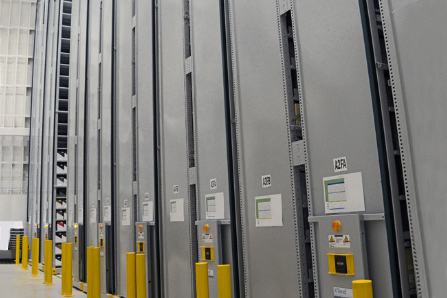 This means doubled storage capacity or potentially smaller building footprints. 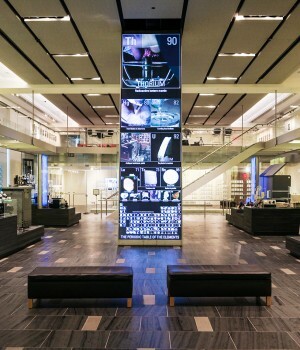 Smaller facilities require less energy to operate and maintain. 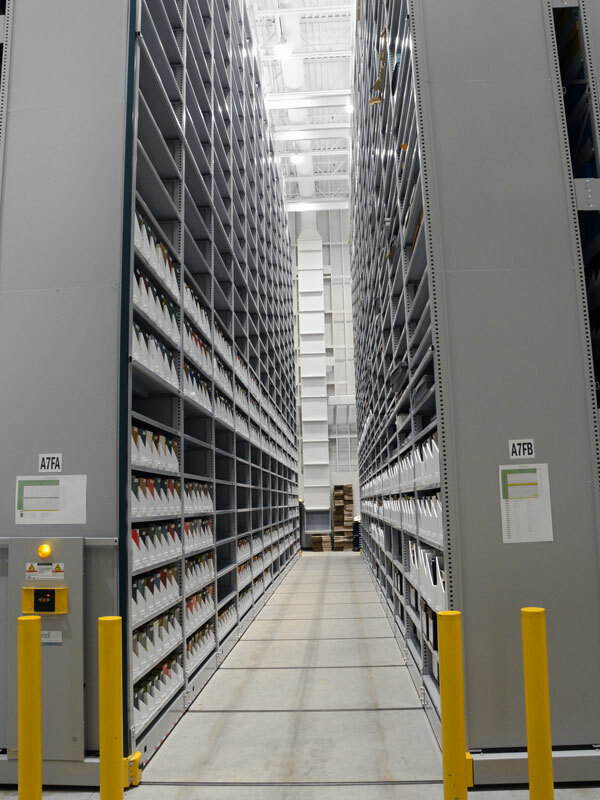 Most books, bound journals or other paper archival collections absorb moisture like sponges and must be stored in humidity and temperature controlled warehouse facilities to avoid damage or degradation. 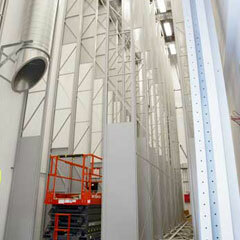 The costs to keep and operate these buildings can be extensive, and the bigger the warehouse, the larger the costs. 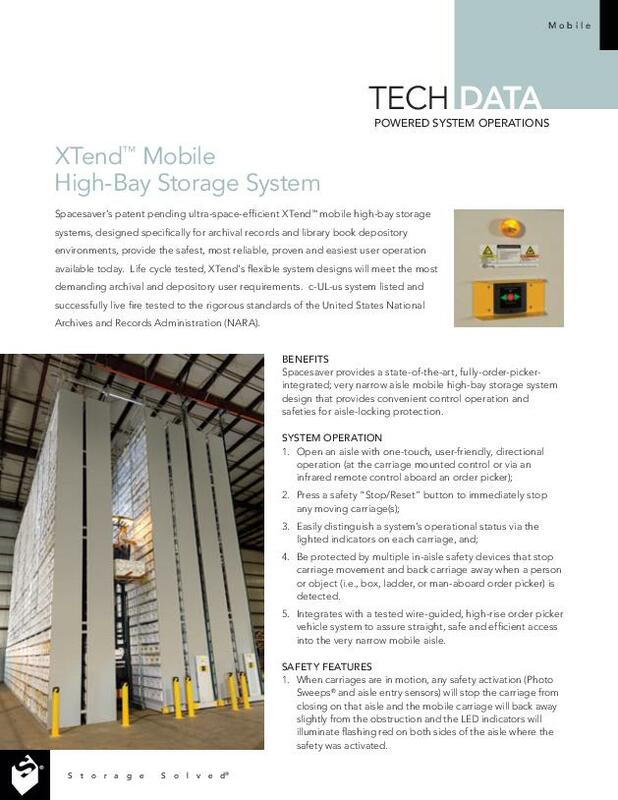 Using an XTend Mobile High-Bay system keeps your building footprint smaller. 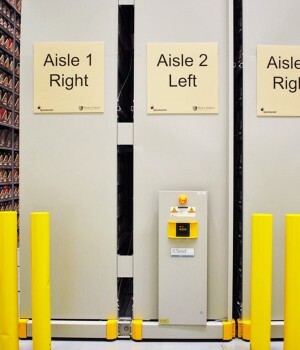 Less aisles are required for access and so, less floor space is used. This was the case at Wake Forest University. 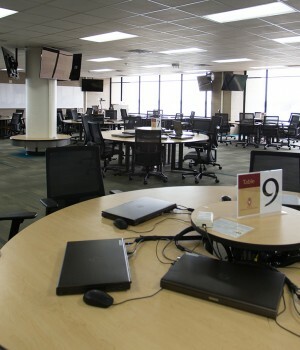 The school had purchased a warehouse with approximately 50-foot high ceilings, but it had a small footprint of width and depth. 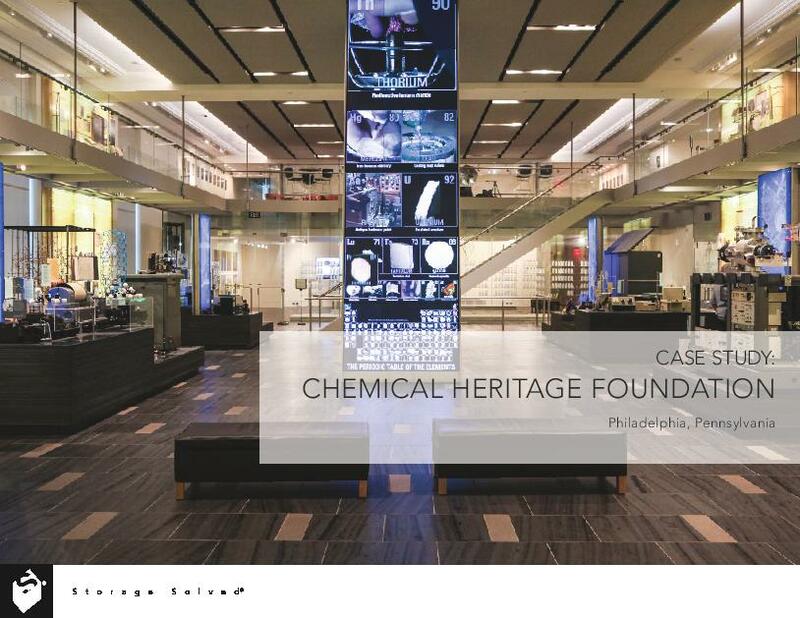 Within this space, they built an entirely new structure that was climate controlled. 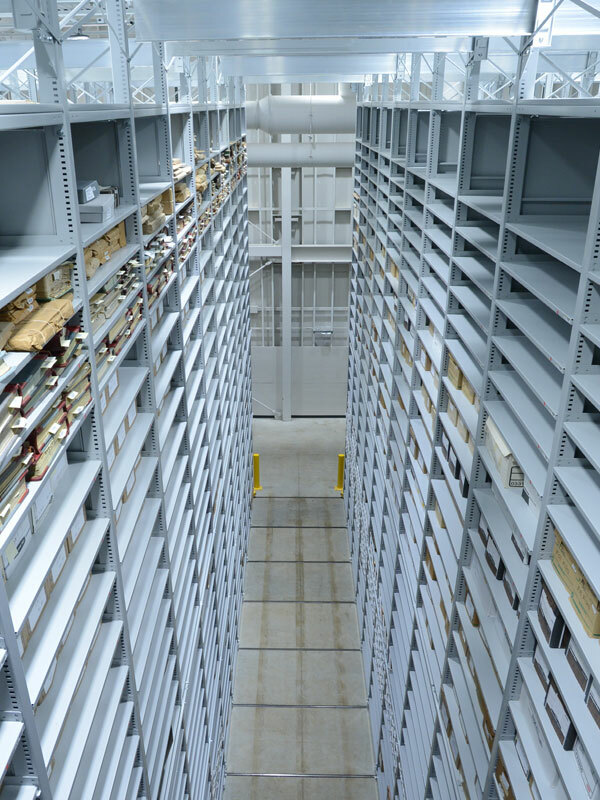 Because of the area limitation, they needed a way to maximize the capacity of the space through a smart archival shelving solution. 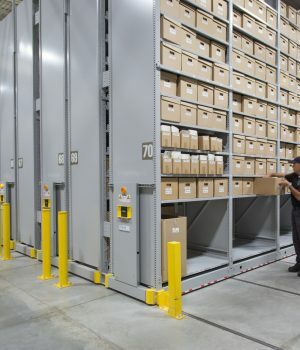 A stationary storage option for off-site archival and record storage. 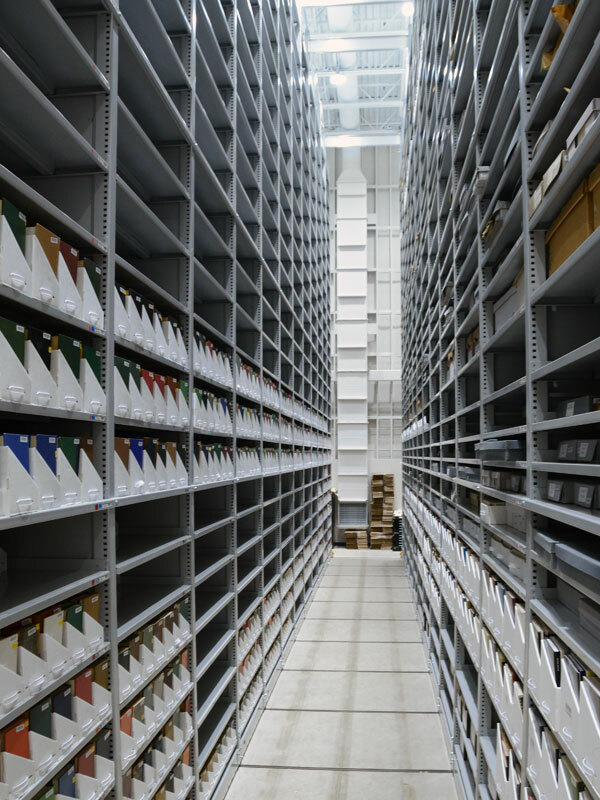 The polyester powder coat paint does not off-gass and keeps archived media safe for the long term, making XTend High-Bay ideal for consortium library warehouses, college archival facilities, and off-site archive document storage facilities. 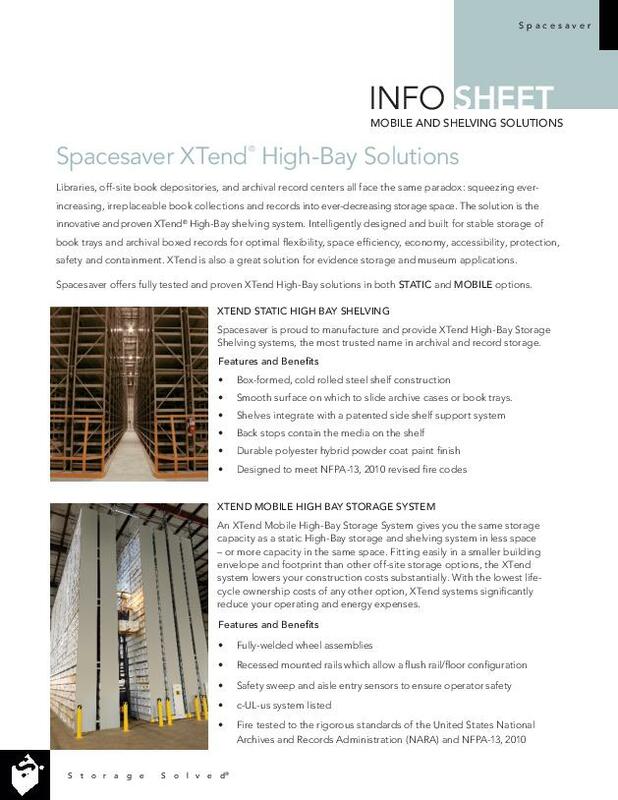 Integral side-shelf supports, shelf backstops, upright baffle closure panels and flue spaces contain media and also help protect it from fire loss. 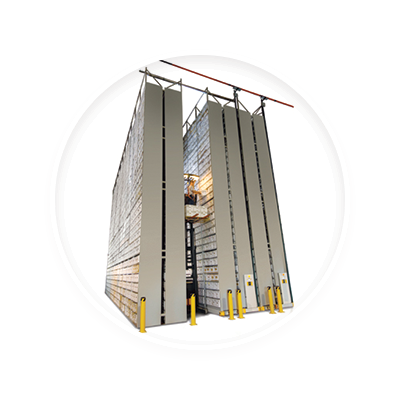 Shelves feature reinforced cold rolled steel box-formed construction and can be easily adjusted on vertical increments of 1-1⁄64 (26mm). No tools are required to relocate shelves. Construction exceeds the most stringent NARA* fire suppression standards. * National Archives and Records Administration. Have additional questions? We’re happy to help.